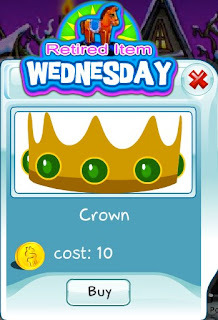 It's Retired Item Wednesday again and today we're retiring the Crown. Crown yourself king with this royal headgear. It would only be available till midnight Wednesday, and then would never be offered again!